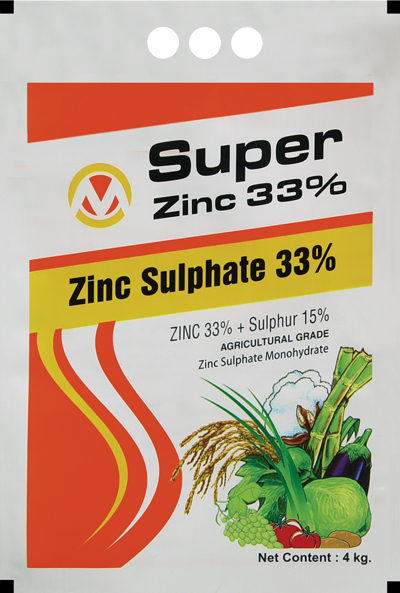 SUPER ZINC-4 KG should be used before sowing at the time of last ploughing in the field. Crops : Paddy, Wheat, Sugarcane, Maize, Cotton, Potato, Vegetables, Mantha, Mango and othe Fruits, Pulses, Oilseeds, Tea, Coffee & Tobacco. Dose : 4-5 kg per acre.